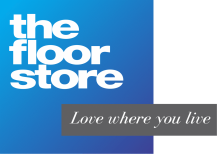 At The Floor Store, we pride ourselves on being the best - and that includes providing all flooring solutions to both domestic and commercial clients. We'd appreciate you taking a few moments of your time to complete this questionnaire about the flooring buying process and your experience with us. All completed questionnaires will go in the draw to win a $100 restaurant voucher - one lucky winner to be drawn every quarter.